1. Who.s real name is Anna Mae Bullock? 2 Where did Michael Jackson have his first solo Number 1 of the 1980s, The U.S. or U.K? 3. Who released the album entitled, Bad Attitude? 4. In which Year was I Know Him So Well a U.K. Number 1? 5. 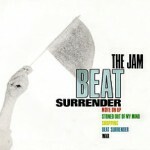 In which Year was Beat Surrender a U.K. Number 1? 6. Which actor introduced U2 on to the London Stage, from Phiadelphia during Live Aid? 7. Who released the album, Please? 8. What was Eddy Grants’s follow upU.K. Single to I Don’t Wanna Dance? 9. Green Gartside is the main man for which Band? 10. In which Year did The Thompson Twins have their first U.K. Top Ten Single? 11. In which Year was Ride on Time a U.K. Number 1? 12. Which Band released the U.K. Number 1 album, Business as Usual in January 1983? 13. In which Year were The Bangles at Number 1 in The U.K. with Eternal Flame? 14. Which Band released the album, Dig The New Breed? 15. Whos real name is Declan Patrick McManus? 16. Who released the album, New Jersey? 17. What was Talk Talks highest U.K. single chart placing of The 1980s? 18. Who said, “There is drinking in lots of the songs because there is drinking in life. Drinking stimulates the imagination. 19. Who is the tallest out of Nick Rhodes, John Taylor and Simon Le Bon? 20. Wfat was XTC’s only U.K. Top 10 Single of the 1980s? Please mail your anwers to us at 80shog@gmail.com or on our forum.